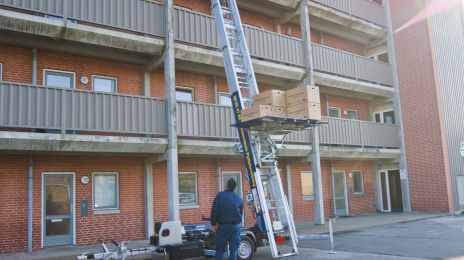 When moving to- or from a block of flats in Denmark, You can rent our Furniture hoist with ons of our movers as hoist operator. One of the greatest challenges in a relocation project, may be something as simple of stairs and staircases. In addition to the hassle of maneuvering the large furniture through a small staircase, stairs can often be an almost insuperable physical challenge. At Himmerland Movers we have the right equipment to handle any relocation assignment. 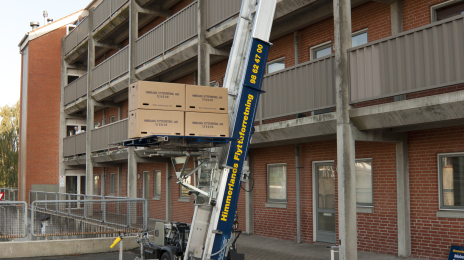 For difficult relocations on higher floors, we have at our disposal, a professional furniture hoist which gently transports the furniture directly from windows or balconies ro the truck. 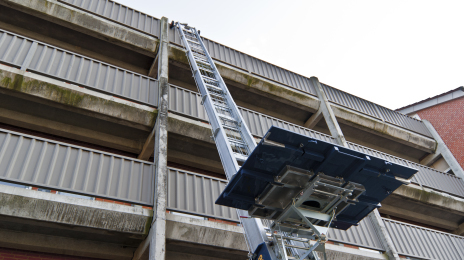 Our Furniture Hoist is one of the most flexible on the market - it can often be set up in places, where conventional hoists is forced to retire. The axle of the lifts is colapsable to 90 cm. (35,5 inches) in width, which means that it can also easily be used in backyards, alleys or other locations with limited access. Our hoist has an environmentally friendly electric motor, but also a petrol-powered generator if there are no power outlets. The electric motor is noise free and therefor does not disturb other residents in densely populated areas. 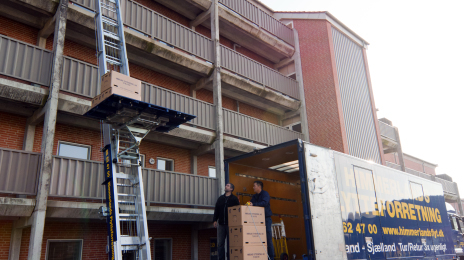 If Your furnitures are too big to exit through windows or balconies, then our experienced movers has the necessary expertise to handle any relocation assignment. 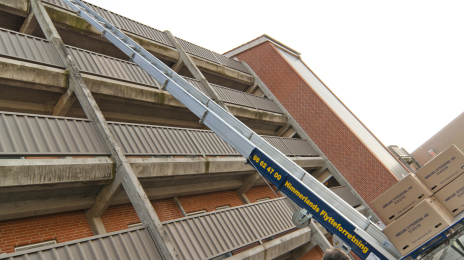 If you are moving to- or from a block of flats, and wish to do the heavy lifting Yourselves, You can rent our furnifure hoist and one of our professional movers as hoist operator. Please contact us on Tel. 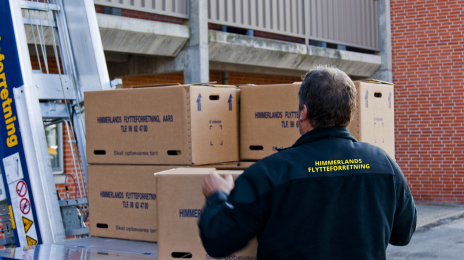 98 62 47 00 or info@himmerlandsflyt.dk to hear about Your options and get a FREE price quote for renting a furniture hoist.